HPP neutralizes molecules that cause juice to spoil faster. This allows HPP-treated juice to last up to 45 days, roughly nine times longer than a freshly made cold-pressed juice, meaning companies can expand their distribution and sell cold-pressed juice on a much larger scale. During HPP, foods are subjected to pressures up to 100,000 psi. which destroy pathagenic microorganisms by interrupting their cellular functions. Suja, a fast-growing brand with $18 million in sales last year, and BluePrint, whose revenue reached $1.4 billion in 2012, are now under fire for allegedly misleading customers about the contents of their cold-pressed juices. The current debate centers around whether juice treated with high pressure processing, or HPP, should in fact be considered “raw.” And as the $3.4 billion cold-pressed juice industry expands to more and more retailers, from Whole Foods to Starbucks to your local grocery store, that’s a whole lot of bottles being called into question. So what’s really inside that premium juice you’re splurging for? Used by numerous brands including Tropicana and Florida’s Natural, this phrase was coined in the 80s to distinguish pasteurized juice from juice made from concentrate. 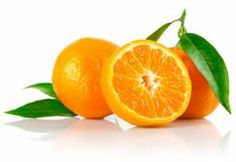 Though no water has been removed from this product, some larger producers strip the juice of oxygen, to keep juice stable while oranges are out of season, which reduces some natural flavoring. Some companies add in proprietary “flavor packs” so the product has the taste and aroma of just-squeezed juice. The FDA does not currently require that companies list flavor packs on a product’s packaging. * High Pressure Pasteurization or Pascalization / Processing (HPP) is based on the Le Chatelier principle which states that actions that have a net volume increase will be retarded and actions that have a net volume decrease will be enhanced. * During HPP, foods are subjected to pressures up to 100,000 psi. which destroy pathagenic microorganisms by interrupting their cellular functions. So if you want to have juice that tastes and looks good and has a longer shelf life but doesn't have the same enzyme activity HPP Pasteurized / Pascalization juice is just fine. If you want a fully nutritional juice that hasn't had any process try Juice Crafters raw cold-pressed juice and start rejuvenating your body with the healthiest and most nutrients rich juice in the world. It doesn't matter if the big companies want to call it HPP / High Pressure Processed / Pascalization or High Hydrostatic Pressure the truth is simple, raw juice not suppose to be sitting on the shelf for 10-14 days , it defeats the purpose of filling your body with live enzymes and nutrients. Many may not know what HPP is cause frankly it has been shoved underneath the table by many Juice cleanse companies in the USA and Canada, and even around the world. Its controversial, facts don’t add up and frankly companies still stating that their product is Raw and not pasteurized is getting on my nerves and many within the natural Raw health food industry. ​Pressure inactivates most vegetative bacteria at pressures above 60,000 pounds per square inch. HPP retains food quality, maintains natural freshness, and extends microbiological shelf life. The process is also known as high hydrostatic pressure processing (HHP) and ultra high-pressure processing (UHP). With the HPP process the product is packaged in a flexible container (a pouch or plastic bottle, glass bottles can not be used) and is loaded into a high pressure chamber filled with a pressure-transmitting (hydraulic) fluid. The hydraulic fluid (normally water) in the chamber is pressurized with a pump, and this pressure is transmitted through the package into the food itself. Pressure is applied for a specific time, usually up to 15 minutes. Pascalization, high pressure processing (HPP), is a method of preserving and sterilizing food, in which a product is processed under very high pressure, leading to the inactivation of certain microorganisms and enzymes in the food. Pascalization stops chemical activity caused by microorganisms that play a role in the deterioration of foods. The treatment occurs at low temperatures and does not include the use of food additives. 1) HPP reduces the level of potential pathogens that remain in the juice directly from the produce in its original “pre-juiced” form. 2) The disadvantages of using HPP is that companies have to change their formulas. Formulas have to be formulated to take well to the HPP process. Deeply rich green Juices do not take well to the HPP process cause they taste worse, meaning HPP changes the chemistry of the Juice. These HPP’d Juices are not conducive to maximum alkalization of the blood, maximum nutrition, and maximum neutralization of toxins and acids in the body. 3) Also Remember Juice that has gone through the process of HPP is no longer a freshly made raw juice. Companies believe HPP is the answer to all of their logistical problems because the process allows for an extended shelf life of up to 24 to 30 days for some types of juices. Yes you heard me right HPP juice has an extended shelf life by 10x, I am talking about 30 days. So you could be drinking a juice that is 20 days old. And last time I checked Raw Juice lasts 5 to 7 Days when a hydraulic Cold pressed Juicing Machine is used, not 30. But you also cant extend the life of those enzymes, that is why they are called LIVE, they are depleted within 7 days if a cold pressed machine is used. Live Enzymes are altered and thereby denatured with the HPP process. 5) Vital and good companion bacteria are destroyed with HPP. Bacteria makes up much of everything we eat. They play a role in good nutrition, not just bad. HPP destroys the good bacteria that your body essentially needs. 6) Many juice companies are omitting the fact they are altering the juice with any process other than juicing it. They are omitting this from their bottling at this time because they are not required to state that HPP was used. So if its so safe and not altering the chemistry of the juice, ask yourself why are they not stating it on the bottle? Because the last thing they want you to know that it has been sitting on the shelf for 20+ days. So I would recommend you check the bottled date, which is never ever listed for a reason, just the expiration. 7) Live enzymes are crucial for over 1000 functions within your body, one of which is to help your body breakdown the fructose. Fact is Live enzymes are depleted within 5 to 7 days. So without the live enzymes the fructose becomes toxic for the body. Example Diabetics are unable to drink Pasteurized juices due to the blood sugar level spike and since the live enzymes needed to recover are depleted it becomes dangerous to them. But a diabetic can drink Raw Juice because it contains those live enzymes that help the body recover by breaking down the fructose into glucose making less work for the liver. Fructose without the live enzymes causes much of the same toxic effects to the liver as does alcohol. Reality the juice is no longer Raw when HPP’d, AND SHOULD NOT BE USED AS A JUICE CLEANSE. I personally like fresh made raw juice that has not been shipped out to an HPP plant, and then returned back for distribution and marked with an expiration 30 days later. And I am sure these companies know that as well, hence why they are omitting the fact that it is pressurized (HPP) from their labels.